Guv Sporting His Cool Do! 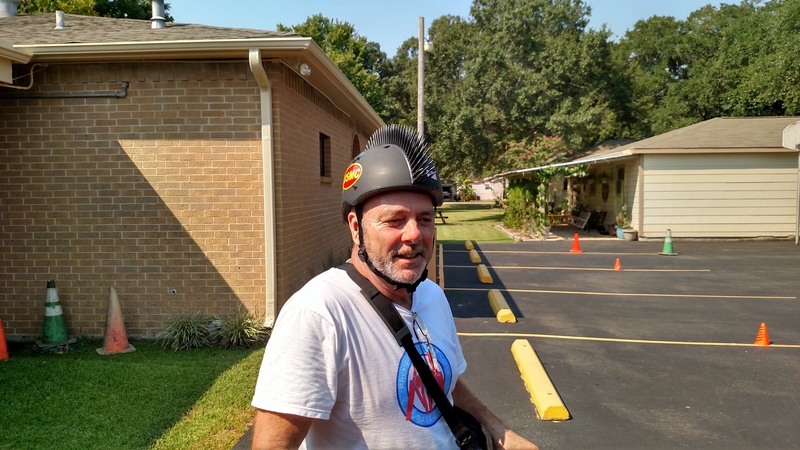 The Lighthouse Fellowship Bike Rodeo 2015 was a great success. Thanks to Mike (Guv) Kershner and the many volunteers for overseeing the event. 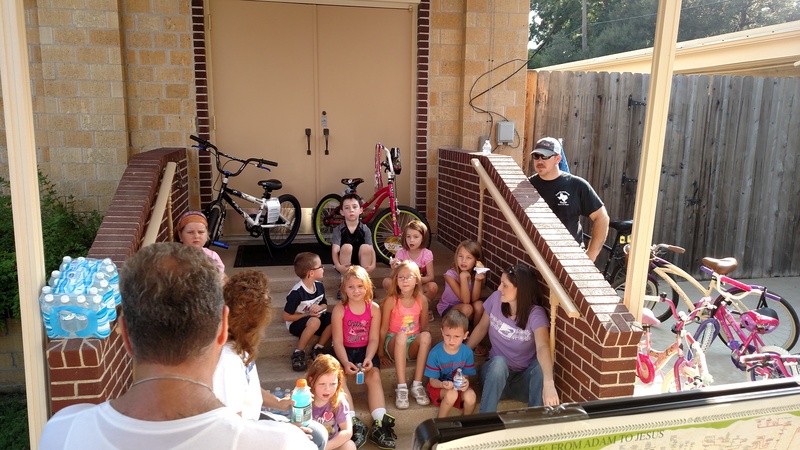 It ran smoothly and the kids had a fun time. The day started out with a safety presentation. The kids were taught the basic rules of the road, including “right is right”, how to safely cross a street, and safety gear such as helmets and proper shoes is important. Guv kept the kids’ attention by giving them reflectors and other goodies. This kept participation high. 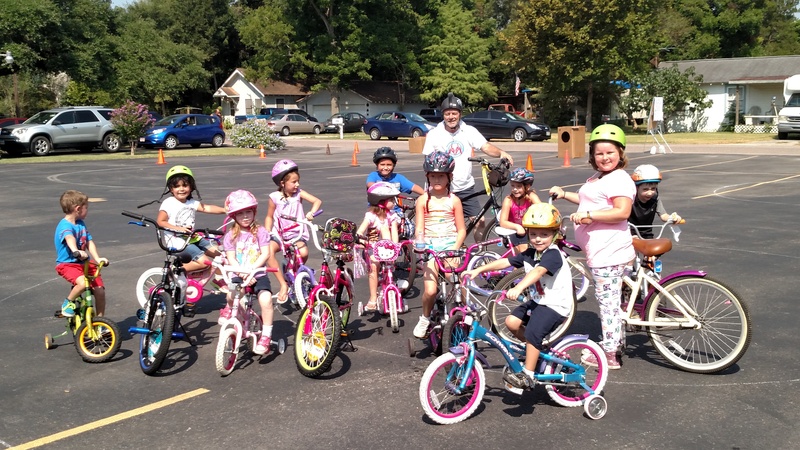 After learning important bicycle safety lessons, the kids were off on their 2 wheelers to hit the parking lot. Parking lot exercises were made up of 4 riding courses. 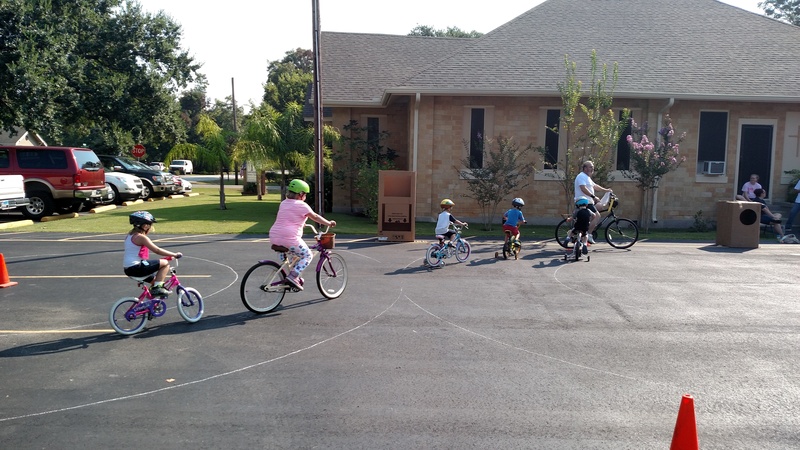 The kids rode an obstacle course, a figure 8 course, a turning radius course, and a then a paperboy course where they got to throw newspapers into boxes to check their skills in bicycle paper delivery. Guv and volunteers worked 2 groups of kids through the course at the same time. The paper delivery course was run as a fun course with all the kids participating. 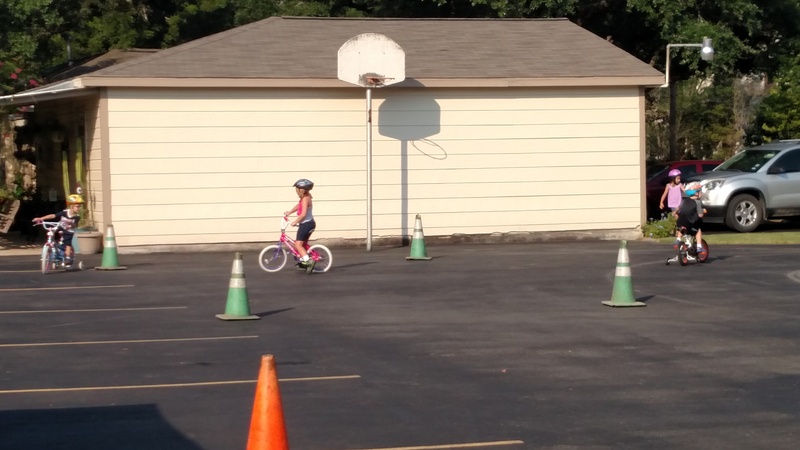 We were all blessed to watch as a little girl learned to ride a bike for the very first time! At the end of the event 2 bikes were given away to a lucky boy and girl. 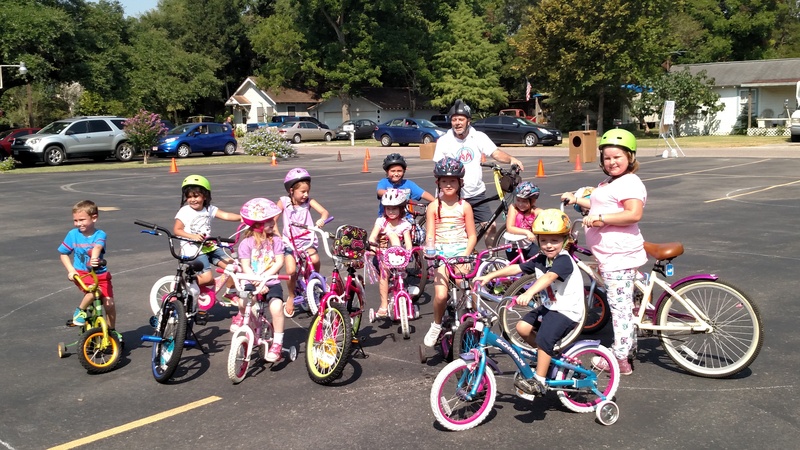 The kids had so much fun it was difficult to get them off their bikes as the event came to a close. 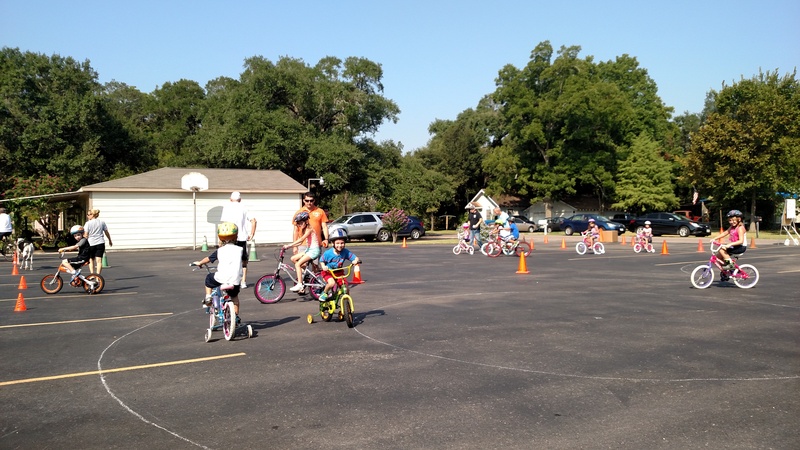 Thank you, Guv, and to all our wonderful volunteers for a successful bike rodeo!